Sepoy Koushal Singh was the son of Chuni Singh of village Badla Deonia (Sarna) of Samba district in J&K. 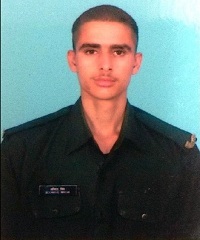 The young martyr Sep Koushal Singh was only 19 years old and had donned the uniform in 2016 where he was inducted into Dogra regiment of Indian Army. Koushal joined the army while he was studying B.A. Part-I and was around 18 years old. Sep Koushal Singh had spent only 15 months in his army career and was posted to the Kupwara area of Jammu and Kashmir straightaway after completion of the training. During 2017, Sepoy Koushal Singh’s unit 20 Dogra was deployed in the Nowgam sector of Kupwara district in J & K. The Nowgam sector is one of the remote parts of the valley and remains inaccessible during winter. The sector is heavily militarized and soldiers are stationed on mountaintop posts to guard the Line of Control and prevent infiltration of militants. On 11 Dec 2017, the Nowgam sector in the mountainous northern region of the Kashmir valley received heavy snowfall resulting in avalanches in the area. Sepoy Kaushal Singh was part of the patrol team carrying out the assigned task in the rugged and inhospitable terrain. Sepoy Koushal Singh along with his one other comrades got swept away and went missing. The Army launched concerted efforts and pressed the specially equipped Avalanche Rescue Teams into service to search for the missing soldiers. 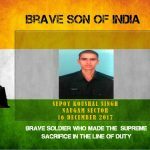 However, the body of Sepoy Koushal Singh was recovered after five days of search on 16 Dec 2017. 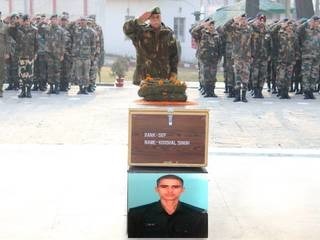 The mortal remains of the braveheart were transported from the Nowgam sector to 15 Corps Headquarters at Badamibagh cantonment in Srinagar and later flown for the last rites to his native place. His last rites were performed with full military honour at the bank of river Devak Ghat at Utterbehni. Sepoy Kaushal Singh was a valiant and committed soldier who laid down his life in the service of the nation. 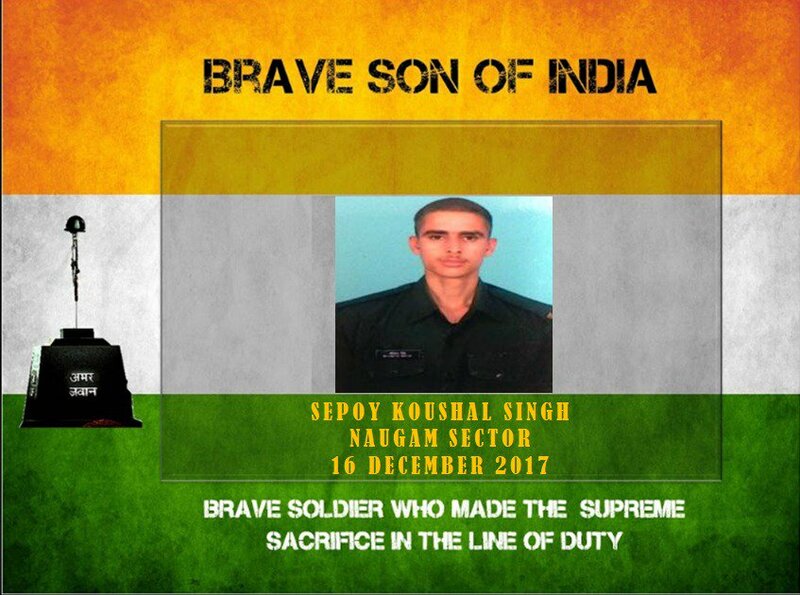 Sepoy Koushal is survived by his parents.